Here is a vegetable bake for you to try. This does not take much time, and can be served as the main component of a meal or as a side dish. The best vegetables to use are the organic heirloom variety you grow yourself. Same with the herbs. Heirloom varieties of each taste better than non heirloom varieties. The amount of each ingredient needed will depend on the size pan you are using, and the number of people being served. Think lasagna for basic amounts. 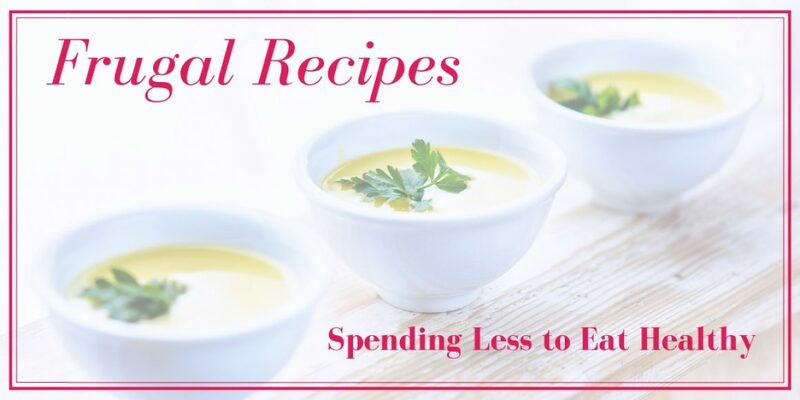 I usually start with bulk purchased shredded cheeses and a jar of each grated cheese, as well as about 32 ounces of sauce and a bowl of tomatoes. Beefsteak tomatoes work well, but you can use other medium to large varieties. Experiment. Also consider trying more than one type of tomato in your bake. Start by pouring ¼ cup of the sauce into the bottom of a baking dish and spreading to cover, then work in layers. You will be able to fit 2 or 3 layers into one baking dish, being sure to leave room at the top for another cheese layer. Rinse the tomatoes well, and dry with a towel. Cut the tops off and then slice the tomatoes about ¼ inch thick, placing some of the slices in a layer over the sauce. Spread more sauce over this. Sprinkle mozzarella cheese over the slices, covering completely. Sprinkle some of mild cheddar cheese over this, so as not to completely cover. Shake some of each grated cheese over the other cheeses, then add another layer of tomatoes. Spread the sauce again, then add the cheeses. If there is room in the pan, start another layer. If not, add a thin layer of sauce over the cheeses, and sprinkle the parsley on top. Bake at 350* – 400*, depending on the oven, until the cheese is melted. Use tomatoes from your garden and home canned sauce, to save money on this recipe. Growing your own herbs and drying them will save you a great deal of money as well. Try other types of cheeses as desired. A nice mixed fruit salad will also go well with this tomato bake. I bought tapioca flour just to try this recipe, and I’m so happy I did. With a love of tortilla wraps, I was really missing the flour tortillas that I used for so many favorite recipes. But now I’ve found a non-grain, Paleo version. Yay! Eating healthier means I miss out on some old favorites, so if I can find a replacement recipe I am a happy lady. Note that I do not use cheese often and, when I do, I use only a little. It is more like a treat, and one I will likely be cutting out completely. Place the tortillas on a plate. Spread shredded lettuce over each tortilla. Top with the other vegetables. Place three shrimp on each tortilla. Top with just a little of each shredded cheese. Almond and tapioca flours do not come cheap. Shop around online and off for the best deals. Buy whatever vegetables you like that can be found on sale, to save money. Serve this with a Sun Tea Recipe for One. My parents had a good harvest this year, and they passed some of their bounty on to me and each of my siblings. I love fresh produce from the garden. Mom was proud they weren’t using anything toxic on the food. Homegrown food tastes so much better than store-bought. Of course, I had to make a salad. I just couldn’t resist. And it came out so good I wanted to share the recipe with you. The ingredients from the garden were: Kale, kohlrabi, tomato, cucumber, and zucchini. Having these items on hand cut the cost of the salad significantly. I also used leftover roasted squash and sweet potato to cut costs. I wasn’t sure how it would be with these items, but it turned out well. They had been refrigerated and were cold when I added them. I started out by roasting 3 small turkey breasts, cutting them into bite size pieces when they were done, and letting them cool in the refrigerator earlier in the day. The lettuce mix was organic, a find at Walmart. Four different kinds, unspecified. I used the whole thing. I did’nt really measure things out, but knew I wanted it to last for the better part of the week. I just threw everything in together. As for vegetables, I don’t peel them all. For instance, zucchini and cucumbers are never peeled. I do take the ends off though. Wash all the produce, patting dry with a clean towel. Chop the lettuces and kale into bite size pieces and place into a large bowl. Peel and chop the Kohlrabi, adding it to the bowl. Dice the tomato and put it over the lettuce mix as well. Cut the ends off the cucumber and the zucchini. Chop and place in the bowl. Cut the turkey into bite size pieces, and place in the bowl with the other ingredients. Sprinkle dried cranberries over everything. Cut the roasted squash and potatoes into bite size pieces and add to the bowl. Toss everything with your hands or tongs. This made so much that it filled two midsize bowls. There was plenty to eat for five days. I had some with each lunch and dinner, and a small bowl as a snack every couple of days. This is a great recipe in that you can use whatever is harvested at the time you make it. Things that are picked here in Maine may not be ready in your area, so it is okay to switch things up. Depending on what leftovers you have and what items are available in the garden, this recipe might cost next to nothing. Buy what is affordable where you are. Use coupons, if available, when shopping for what you need, but only if doing so will save you money over buying a different brand. Serve with a bowl of Easy Autumn Soup for a nice lunch. 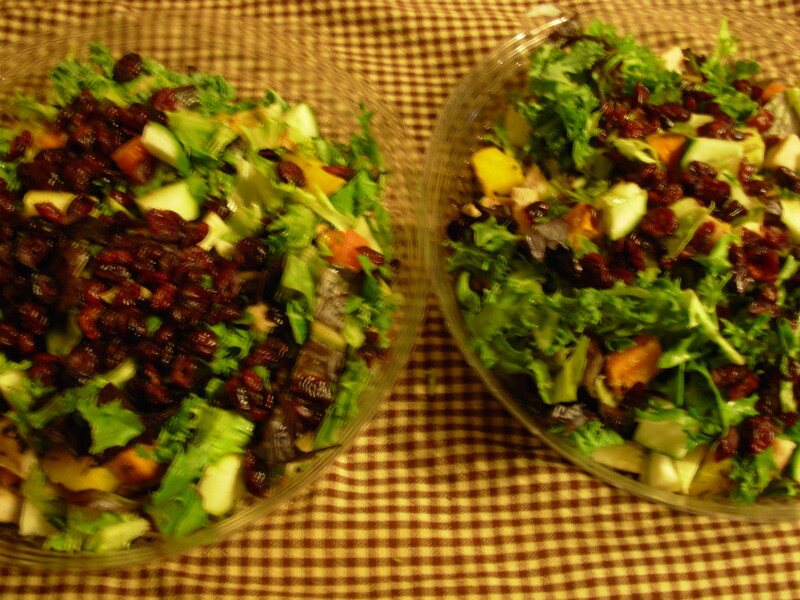 This would also be a great side salad with your Mabon or Thanksgiving Meal. I never was a fan of chili, until I started trying to live a Paleo lifestyle. At that point, in my ongoing search for the perfect Paleo recipes that would be absolutely delicious and satisfying, I came across a chili recipe that looked like it had potential. I tweak, and keep changing it up. Chili can be made in so many ways. I like to change-up the meats I’m using, and am experimenting with other add-ins as well, as you’ll see here. I use as many organic ingredients as I can, but budgeting is necessary. Brown the meat (if necessary) in about a tablespoon or two of coconut oil. Drain, and split between two 3-qt crock pots. Chop the any other meats and split between the crocks. Pour the diced tomato (including liquid) and squash over the meats. Add a can of tomato paste to each. Add the oregano, parsley, and spices, splitting each equally between the two crocks. Pour half cup of beef broth over the contents of each crock, and cover. Heat on low 6 or 7 hours/high 4-5 hours. Turn the slow cooker off. Buy ingredients when they are on sale; specially the meats and spices. If you can afford to stock up at that time, do so to be prepared for future meals. Combine sales with coupons when possible, to save even more money. Use produce for your own garden for even more savings, and better quality and taste. Try using different combinations of meats. Experiment with different types of vegetables. 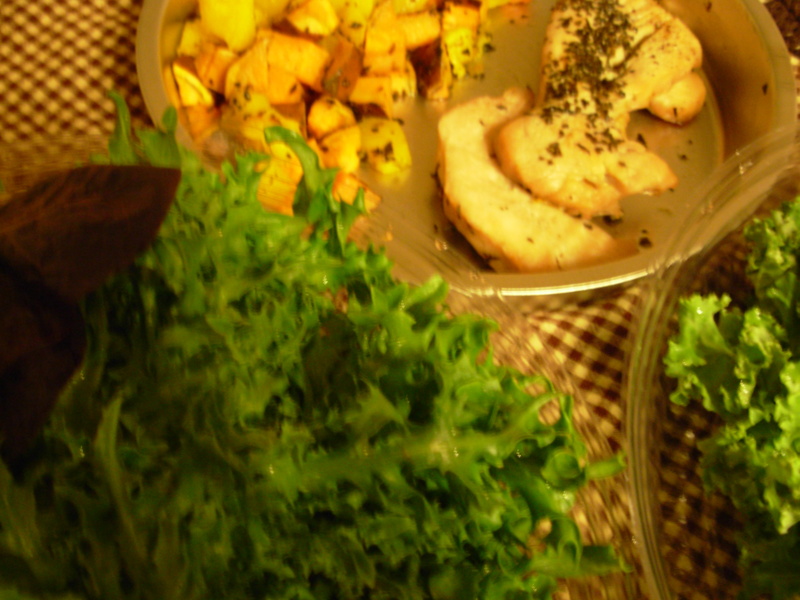 Freeze the leftovers, and use them to create new recipes. Serve over spaghetti squash, with cucumber rounds and carrot sticks on the side. I keep telling people they can eat healthy without spending an exuberant amount on food. This is true to an extent, if you keep it simple. Stick to the basics, and your meal does not have to cost an arm-and-a-leg. Also, watch your serving sizes. I do try to always pair vegetables and a protein source with a little healthy fat, in this instance by cooking the sausages and egg in coconut oil. This combination is a healthy way to consume food. I eat a mostly Paleo diet. What healthy things do you eat for breakfast? I do so love these breakfast scrambles. They are so easy, and delicious. I do use coconut oil. I can get a good size container of it at Walmart for 6 or 7 dollars, and it lasts months. It’s far healthier than butter. Melt the oil in a medium size skillet over medium heat. Mix the egg with the liquid, and pour into the skillet. Top with the diced turkey and squash. Mix everything together and cook until eggs are set, stirring every so often. Add other vegetables for more nutritional value, or to extend the meal to serve more people. Serve this dish with a smoothie or a fruit salad. Keeping with the Thanksgiving leftovers theme, this recipe makes for a great stand-alone breakfast, or an excellent addition to a larger breakfast menu. It is a health alternative to cereal-based morning meals. Melt the coconut oil in a skillet over medium heat. Mix the eggs with the water or milk, and pour into the pan. Add the diced turkey and tomato and mix it all up. Cook until the eggs are done, stirring every so often. To save money, buy larger container of coconut oil. They last quite some time. Add other vegetables if desired. Try a little precooked and diced bacon sprinkled over the top. Serve this dish with a smoothie. The same dish could be served with a fruit salad. There’s nothing better than fresh produce and herbs from your garden. If you do not grow your own, the grocery store carries everything you’ll need, as does the Farmer’s Market. Many things can also be found at roadside stands, usually quite affordably. Salads are a great way to highlight fresh produce, and can serve as a stand-alone snack or a nice side to any lunch or dinner. Wash the fresh produce and dry on a towel. Rinse the mint and pat dry with another towel. Cut the tomatoes in half, and place them in a medium size bowl. Cut the ends off the zucchini and the cucumber and discard. Cut these vegetable into bite-size chunks. Add to the bowl. Chop some mint and sprinkle over the other ingredients. The cheapest way to make this is by growing your own herbs and vegetables. Save more money by shopping around for what you have to buy. Where is the most affordable place to purchase fresh produce in your area? Serve with a slow cooker meal made with root vegetables and a cheap cut of meat. It’s important that we keep lunch options available that are easy to prepare as well as healthy to consume. Lunch is the perfect time to pack some more nutrition into your diet, particularly if you don’t snack. The ideas below are per person. 1 nut butter and banana sandwich. 1 nut butter and pickle sandwich (my best friend loves these with peanut butter, but nuts are a legume so I try not to eat them often!). 1 salad of lettuce, shredded cabbage and carrots, and diced tomato with a homemade vinaigrette. This can be topped with ¼ cup diced chicken, turkey, or ham, or a hard boiled egg. 1 bowl of watermelon (when on sale) mixed with ½ cup of coconut yogurt or coconut cream. 1 homemade paleo tortilla topped with leftover chicken or turkey, shredded cabbage, and diced tomato. Warm and enjoy. Summer salads are the best. Fresh produce picked in your own garden adds scrumptious taste to any salad, including this one which uses tomatoes, cucumbers, and herbs you can grow yourself. (Update 2017) I used to eat a lot of cheese, but not so much these days. It does not fit in with the Paleo lifestyle I’m trying to create for myself, but that isn’t to say I will never have cheese again. Once-in-a-while, I’ll have some in a salad or something, but not every day, week, or even month. Rinse the produce and they fresh herbs. Pat dry with a dish towel. Cut the cherry tomatoes in half and place in a bowl. Chop the cucumber into bite size pieces, disposing of the ends. Add cheese chunks and mix with the produce. Drizzle extra virgin olive oil over the salad, and sprinkle with diced mint and basil to taste. Mix and serve. Mozzarella is not exactly a hard cheese, but can still be found in block form. Simply cut into bite size pieces. If block cheese is not available, it is okay to use shredded. This dish goes well with a meal of meat and potatoes.